Mario Kart 8 Deluxe gives players access to many different combinations of karts. You can change your glider, wheels, and body, that all effect your top speed, acceleration, weight, handling, and traction/grip. Depending how you customize your kart in Mario Kart 8 Deluxe, you can really pick and choose your racing style that you see fit. If you’re looking for the fastest kart or the kart combination that will give you the best acceleration, then we have some options for you. 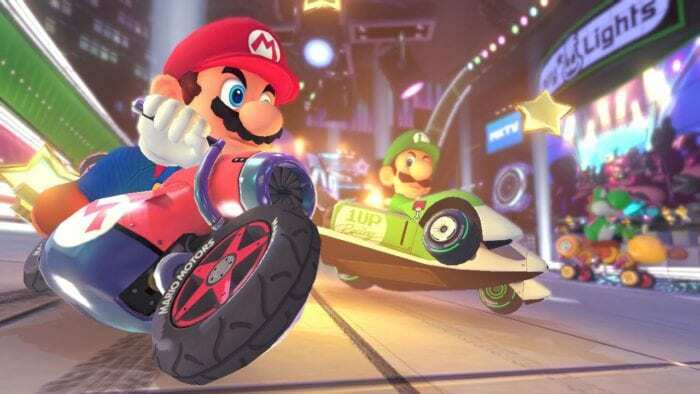 As for kart combos with the best traction/grip in Mario Kart 8 Deluxe, we recommend going with the lighter characters once again, as well as choosing one of these two tires: Monster and Hot Monster. Any of the picks that we selected for the high acceleration should fare well when it comes to traction/grip as well. Good luck choosing your favorite kart combinations in Mario Kart 8 Deluxe. For more tips and tricks, make sure to search for Twinfinite.